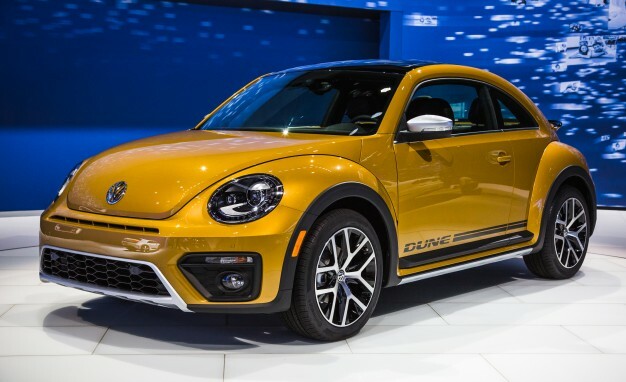 Finally Volkswagen officially show off the production version of Dune in the Los Angeles Auto 2015 in Torrance, California, United States (US), which held start from 18 November 2015. This model was first introduced as a concept at the Detroit Auto Show 2014. Now, after a relatively closed to within one year, the production version began to be launched. VW plans to market the Beetle Dune within two options, the Coupe and Convertible. 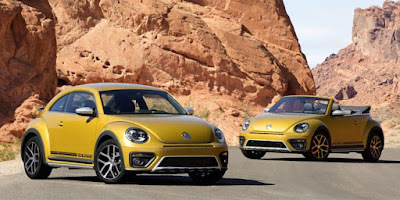 In an official statement of VW on Saturday, November 21, 2015, that the VW Beetle Dune inspired the form of Baja bugs. Although it looks very eye-catching, as well as its ability. 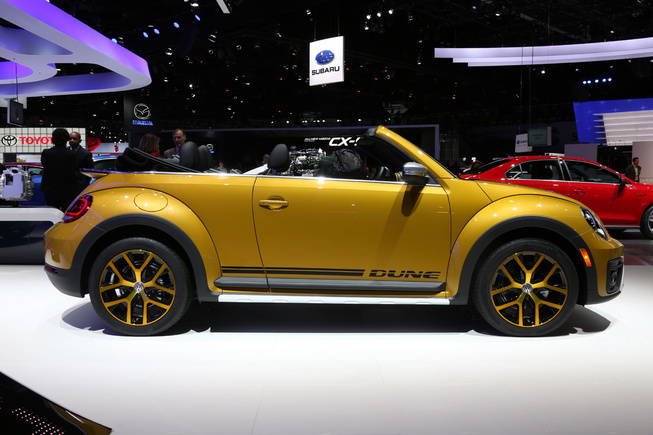 The German brand will add some "off-road" accents so that it looks more macho. From the images released by VW on the internet, the Dune look offers a Beetle stocky figure. By using of four 18-inches rims, bumper shapes, grille, including high ground, which supports the accent as an adventurous car. 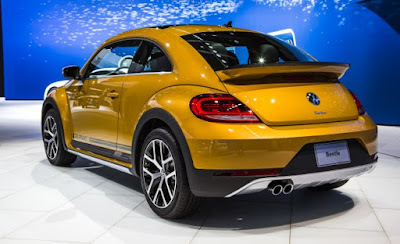 Its rear bumper also made large and has a spoiler that still look sporty. Rear lights already use LEDs and get a modern design. In addition to a variety of color options, the convertible version of VW Beetle Dune buyer can order the color of the roof according to taste. The interior, already use sport seat models (semi bucket) with orange contrast stitching. Steering wheel and door trims layered with the black leather, so as to create a sweet blend colors. Power comes comes from a 1.8-liter turbocharged four-cylinder TSI engine that delivers 170 horsepower and 184 lb-ft. of torque. 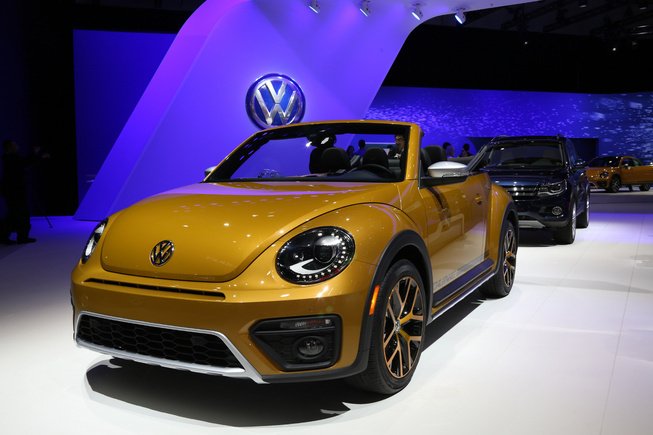 The four-banger spins the front wheels via a six-speed automatic transmission, but Volkswagen hasn't published performance specifications yet.